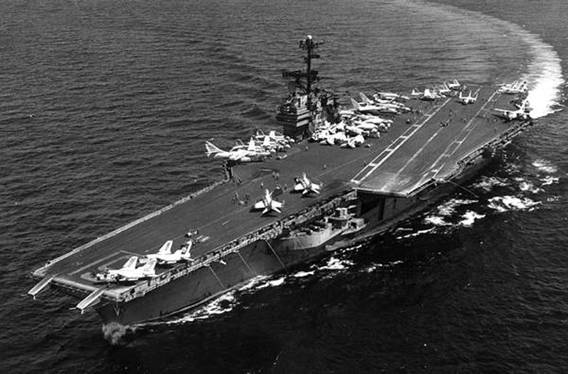 The seventh Ranger (CVA-61), a Forrestal-class aircraft carrier, was laid down 2 August 1954 by Newport News Shipbuilding and Drydock Co., Newport News, Va.; launched 29 September 1956; sponsored by Mrs. Arthur Radford, wife of Admiral Radford, Chairman of the Joint Chiefs of Staff; and commissioned at the Norfolk Naval Shipyard 10 August 1957, Capt. Charles T. Booth II, in command. 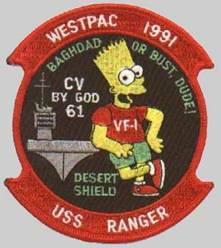 Ranger joined the Atlantic Fleet 3 October 1957. 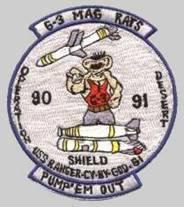 Just prior to sailing 4 October for Guantanamo Bay, Cuba, for shakedown, she received the men and planes of Attack Squadron 85. She conducted air operations, individual ship exercises, and final acceptance trials along the eastern seaboard and in the Caribbean Sea until 20 June 1958. 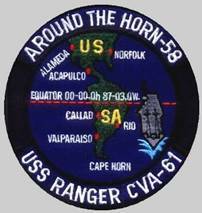 She then departed Norfolk, Va., with 200 Naval Reserve officer candidates for a two-month cruise that took the carrier around Cape Horn. She arrived at her new homeport, Alameda, Calif., on 20 August and joined the Pacific Fleet. The carrier spent the remainder of 1958 in pilot qualification training for Air Group 14 and fleet exercises along the California coast. Departing 3 January 1959 for final training in Hawaiian waters until 17 February, she next sailed as the flagship of Rear Adm. H. H. Caldwell, ComCarDiv 2, to join the Seventh Fleet. 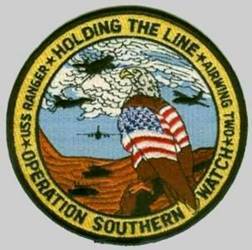 Air operations off Okinawa were followed by maneuvers with SEATO naval units out of Subic Bay. A special weapons warfare exercise and a patrol along the southern seaboard of Japan fo llowed. 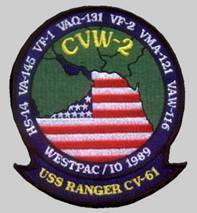 During this first WestPac deployment, Ranger launched more than 7,000 sorties in support of Seventh Fleet operations. She returned to San Francisco Bay 27 July. During the next six months, Ranger kept herself in a high state of readiness through participation in exercises and coastal fleet operations. With Carrier Air Group 9 embarked, she departed Alameda 6 February 1960 for a second WestPac deployment and returned to Alameda 30 August. 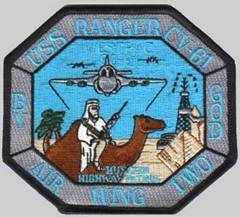 From 11 August 1961 through 8 March 1962, Ranger deployed to the Far East a third time. The next seven months were filled with intensive training along the western seaboard in preparation for operations in the troubled waters of Southeast Asia. 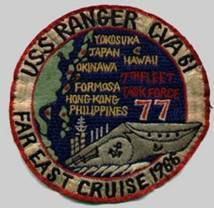 Ranger departed Alameda on 9 November 1962 for brief operations off Hawaii, and then proceeded, via Okinawa, to the Philippines. She steamed to the South China Sea 1 May 1963 to support possible Laotian operations. When the political situation in Laos relaxed 4 May, she resumed her operations schedule with the Seventh Fleet. Arriving at Alameda from the Far East 14 June 1963, she underwent overhaul in the San Francisco Naval Shipyard 7 August 1963 through 10 February 1964. Refresher training out of Alameda commenced 25 March, interrupted by an operational cruise to Hawaii from 19 June to 10 July. 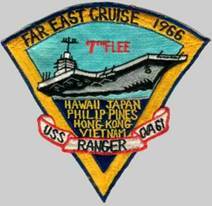 Ranger again sailed for the Far East 6 August 1964. This deployment came on the heels of the unprovoked assault against USS Maddox (DD-731) on the night of 2 August and, two nights later, against both Maddox and USS Turner Joy (DD-951), by North Vietnamese motor torpedo boats. In retaliation for this aggression on the high seas by North Vietnam, President Lyndon B. Johnson, on 5 August, directed the Navy to strike bases used by the North Vietnamese naval craft. 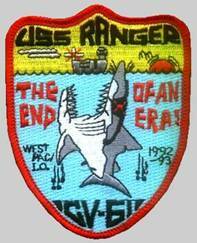 As Ranger steamed from the western seaboard, some 60 attack sorties rose from the decks of USS Ticonderoga (CVA-14) and USS Constellation (CVA-64). 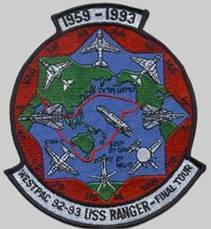 Ranger made only an eight-hour stop in Pearl Harbor 10 August 1964, then hurried on to Subic Bay, and then to Yokosuka, Japan. 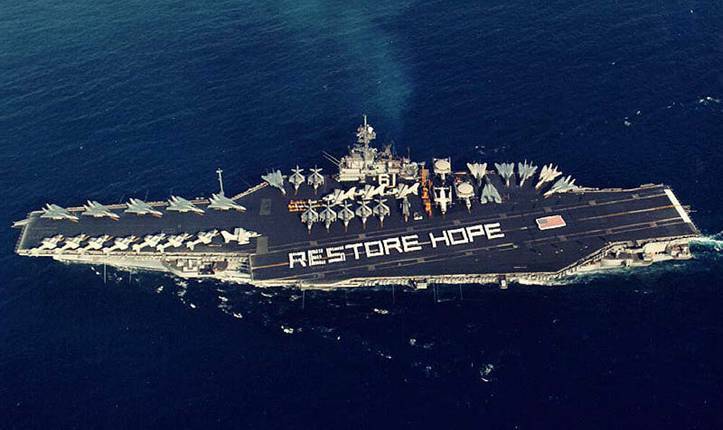 In the latter port on 17 October 1964, she became flagship of Rear Adm. Miller who commanded Fast Carrier Task Force 77. 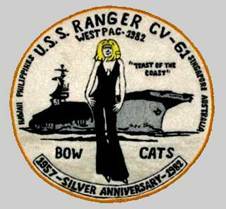 In the following months, she helped the Seventh Fleet continue its role of steady watchfulness to keep open the sealanes for the Allies and stop Communist infiltration by sea. 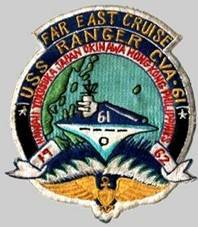 On 7 February 1965, in retaliation for a damaging Viet Cong attack on installations around Pleiku, a fighter bomber strike, launched from Ranger, USS Coral Sea (CV 43), and USS Hancock (CV 19), blasted the military barracks and staging areas near Dong Hoi in the southern sector of North Vietnam. Gen. William Westmoreland, commanding the Military Advisory Command in Vietnam, visited Ranger on 9 March 1965 to confer with Rear Adm. Miller. Ranger continued air strikes on enemy inland targets until 13 April when a fuel line broke, ignited and engulfed her No. 1 main machinery room in flames. The fire was extinguished in little over an hour. There was one fatality. Ranger put into Subic Bay 15 April and sailed on the 20th for Alameda, arriving home on 6 May. She entered the San Francisco Naval Shipyard 13 May 1965 and remained there under overhaul until 30 September. 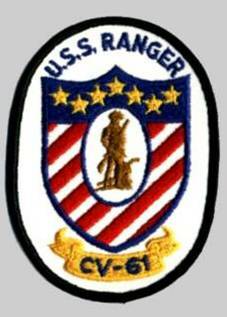 Following refresher training, Ranger departed Alameda on 10 December 1965 to rejoin the Seventh Fleet. 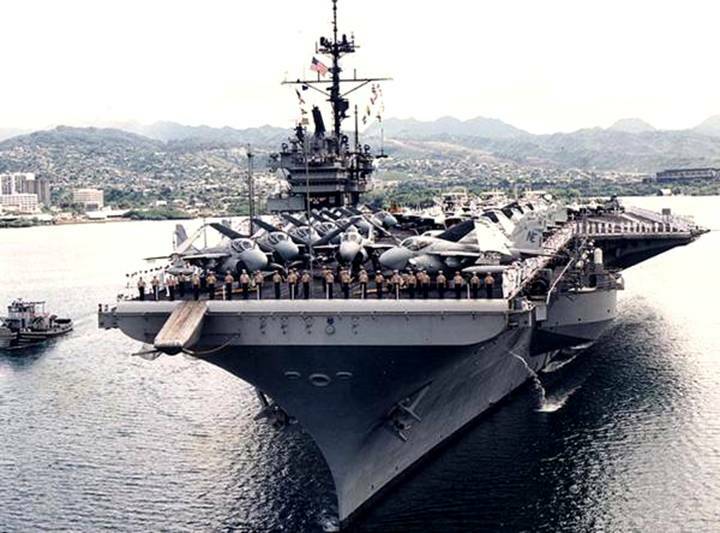 She and her embarked Carrier Air Wing 14 received the Navy Unit Commendation for exceptionally meritorious service during combat operations in Southeast Asia from 10 January to 6 August 1966. 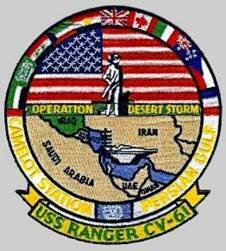 Ranger departed the Gulf of Tonkin 6 August for Subic Bay, and steamed via Yokosuka for Alameda, arriving on the 25th. She stood out of San Francisco Bay 28 September and entered Puget Sound Naval Shipyard two days later for overhaul. 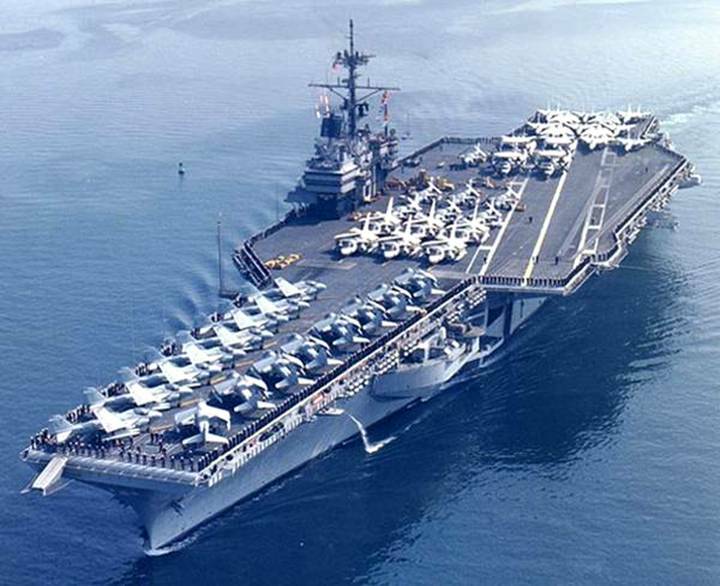 The carrier departed Puget Sound 30 May 1967 for training out of San Diego and Alameda. On 21 July 1967, she logged her 88,000th carrier landing. From June until November, Ranger underwent a long and intensive period of training designed to make her fully combat ready. 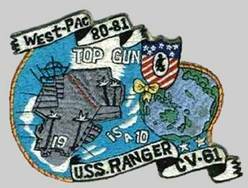 Attack Carrier Air Wing 2 (CVW-2) embarked on 15 September 1967, with the new A-7 Corsair II jet attack plane and the UH-2C Seasprite turboprop rescue helicopter, making Ranger the first carrier to deploy with these powerful new aircraft. 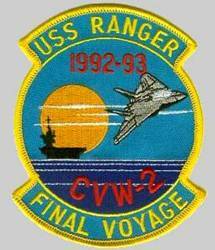 From carrier refresher training for CVW-2, Ranger proceeded to fleet exercise Moon Festival. 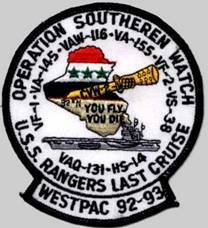 From 9 to 16 October 1967, the carrier and her air wing participated in every aspect of a major fleet combat operation. Her efficiency honed to a fine edge, Ranger departed Alameda 4 November 1967 for WestPac. Arriving Yokosuka 21 November, she relieved USS Constellation and sailed for the Philippines on the 24th. After arriving at Subic Bay on 29 November, she made final preparations for combat operations in the Tonkin Gulf. 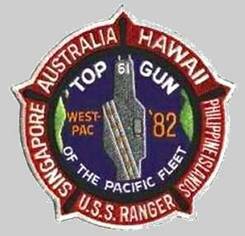 Commander, Carrier Division 3, embarked on 30 November as Commander, TG 77.7; and Ranger departed Subic Bay on 1 December for Yankee Station. 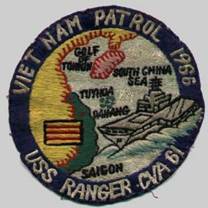 Arriving on station 3 December 1967, Ranger commenced another period of sustained combat operations against North Vietnam. During the next 5 months, her planes hit a wide variety of targets, including ferries, bridges, airfields and military installations. Truck parks, rail facilities, antiaircraft guns and SAM sites were also treated to doses of Air Wing 2's firepower. Bob Hope's "Christmas Show" came to Ranger in Tonkin Gulf on 21 December. Another welcome break in the intense pace of operations came with a call at Yokosuka during the first week of April 1968. 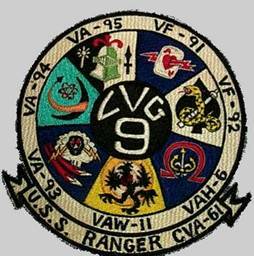 Returning to Yankee Station on 11 April 1968, Ranger again struck objectives in North Vietnam. After five months of intensive operations, Ranger called at Hong Kong 5 May 1968 and then steamed for home. There followed a shipyard availability at Puget Sound that ended with Ranger's departure 29 July for San Francisco. 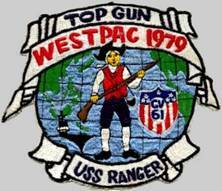 Three months of leave, upkeep and training culminated in another WestPac deployment 26 October 1968 through 17 May 1969. She departed Alameda on yet another WestPac deployment in December 1969 and remained so employed until 18 May 1970 at which time she returned to Alameda, arriving 1 June 1970. 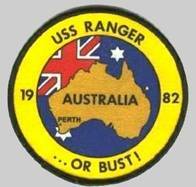 Ranger spent the rest of the summer engaged in operations off the west coast, departing for her sixth WestPac cruise 27 September 1970. 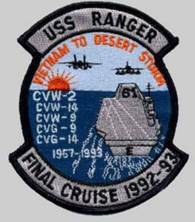 On 10 March 1971, Ranger, along with USS Kitty Hawk (CV 63), set a record of 233 strike sorties for one day in action against North Vietnam. 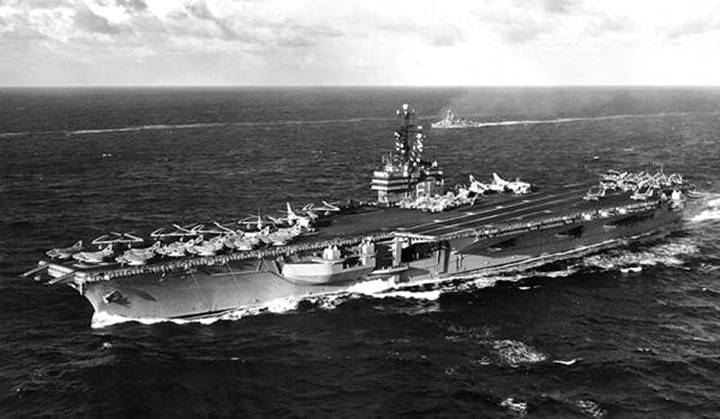 During April, the three carriers assigned to Task Force 77 - Ranger, Kitty Hawk, and Hancock - provided a constant two-carrier posture on Yankee Station. Hours of employment remained unchanged with one carrier on daylight hours and one on the noon to midnight schedule. Strike emphasis was placed on the interdiction of major Laotian entry corridors to South Vietnam. She returned to Alameda 7 June 1971 and remained in port for the rest of 1971 and the first five months of 1972 undergoing regular overhaul. 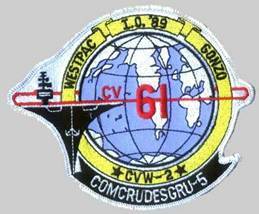 On 27 May 1972 she returned to west coast operation until 16 November, when she embarked upon her seventh WestPac deployment. 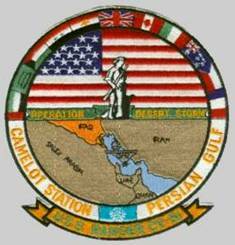 On 18 December 1972 Linebacker II operations were initiated when negotiations in the Paris peace talks stalemated. 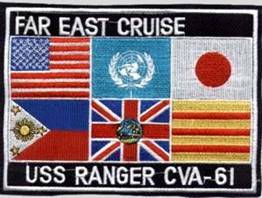 Participating carriers were Ranger, USS Enterprise (CVN 65), USS Saratoga (CV 60), USS Oriskany (CV 34), and USS America (CV 66). 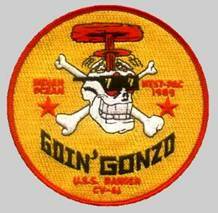 The Linebacker II operations ended on 29 December when the North Vietnamese returned to the peace table. 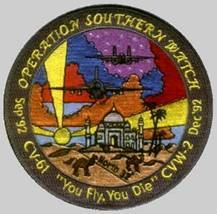 These operations involved the resumed bombing of North Vietnam above the 20th parallel and was an intensified version of Linebacker I. The reseeding of the mine fields was resumed and concentrated strikes were carried out against surface-to-air missile and antiaircraft artillery sites, enemy army barracks, petroleum storage areas, Haiphong naval and shipyard areas, and railroad and truck stations. Navy tactical air attack sorties under Linebacker II were centered in the coastal areas around Hanoi and Haiphong. There were 505 Navy sorties in this area during Linebacker II. 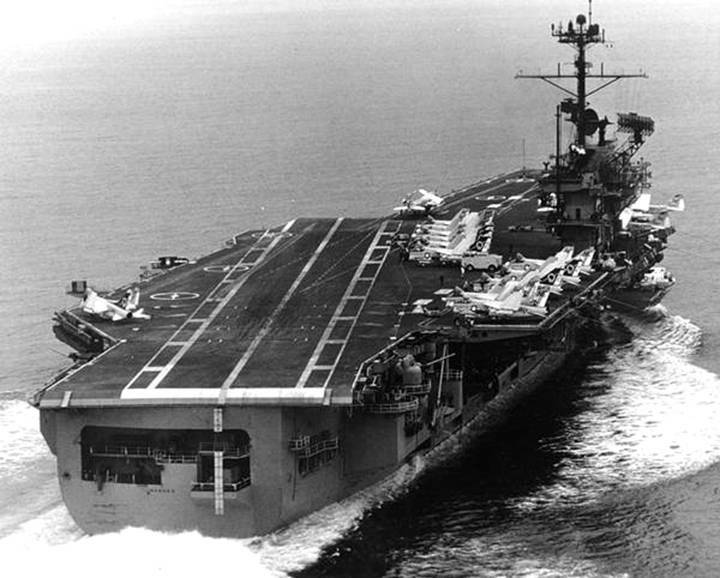 Between 18 and 22 December the Navy conducted 119 Linebacker II strikes in North Vietnam. 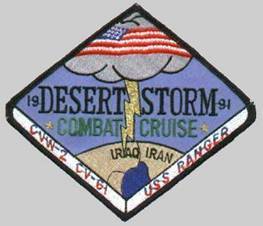 Bad weather was the main limiting factor on the number of tactical air strikes flown during Linebacker II. 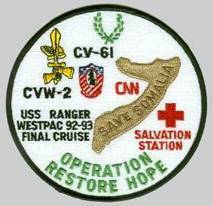 On 27 January 1973, the Vietnam cease-fire, announced four days earlier, came into effect and Oriskany, America, Enterprise and Ranger, on Yankee Station, cancelled all combat sorties into North and South Vietnam. During the U.S. involvement in the Vietnam conflict (starting in 1961 and ending on 2 January 1973) the Navy lost 726 fixed-wing aircraft and 13 helicopters to hostile action. 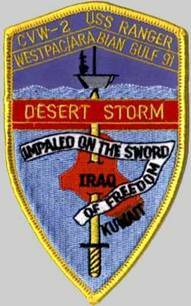 The Marine Corps lost 193 fixed-wing aircraft and 270 helicopters to enemy action during the same period. Operation Homecoming, the repatriation of U.S. POWs between 27 January and 1 April 1973, began and North Vietnam and the Viet Cong released 591 POWs. Of the 591 POWs released during Operation Homecoming, 145 were Navy personnel, all but one of whom were Naval Aviation personnel. 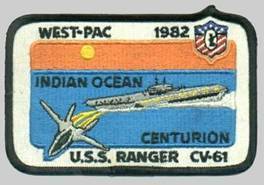 Ranger returned to Alameda in August 1973 and remained in that area through 7 May 1974 when she deployed again to the western Pacific, returning to homeport on 18 October. On 28 May 1976, while on deployment, helicopters crews from HS-4 aboard Ranger, detachments from HC-3 on USS Camden (AOE 2), USS Mars (AFS 1) and USS White Plains (AFS 4), and helicopters from NAS Cubi Point, Republic of the Philippines, assisted in Philippine disaster relief efforts in the flood ravaged areas of central Luzon. Over 1,900 people were evacuated; more than 370,000 pounds of relief supplies and 9,340 gallons of fuel were provided by Navy and Air Force helicopters.